He’d just saved Huddersfield from being obliterated from history. They were on top of their game and had the respect of the league. So why jump ship? I guess the annual salary of £2000 was attractive. Like Richard Whittington before him, he was attracted to the glittering lights of the capital and all the glory that would be there. He may not have been Lord Mayor of London but he was the manager of Arsenal and they were going to dominate. The club chairman Herbert Norris was somewhat of a dictator restricting managers freedoms and limiting spending on players. He had spent money on a state of the art stadium at Highbury and he needed at state of the art team to win trophies. Chapman negotiated with the chairman Harry Norris and he could spend more than £1000 on players and they could be under 5 foot 8 inches and weight more than 11 stone. So, no Maradona, Messi or Iniesta. Even Pele’s position would have been in the balance under this type of regime. So Charlie Buchan was the first purchase for £2000. The twist was that they had to pay £100 per goal, that was another £ 2100 for Sunderland. Joking aside it wasn’t an easy transformation. Arsenal lost 7-0 to Newcastle in October 1925 and as a result that was the last Arsenal saw of the 2-3-5 formation. 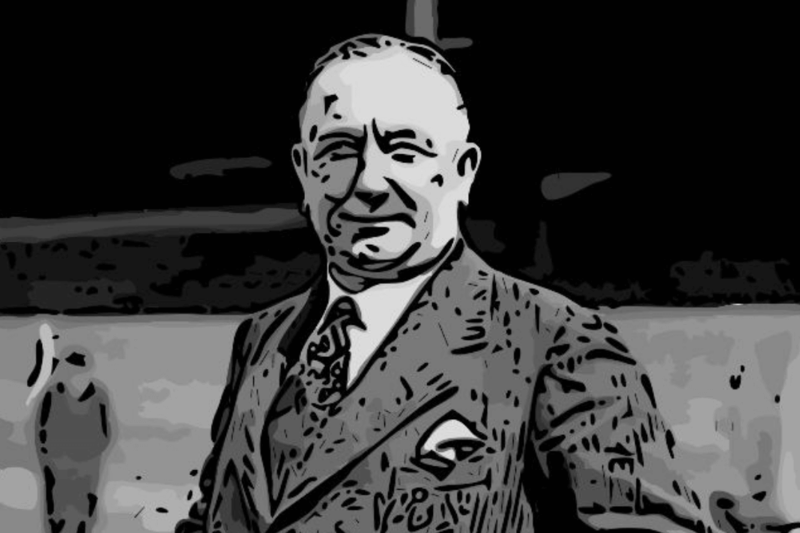 Herbert Chapman was a man of tactics and with a change in the offside rule reducing the number of defending players that need to be in place from three to two, it changed the game from defensive to attack. Then the effect on goal scoring was revelatory, from 4700 to 6,373. Chapman set about changing the formation. The very expensive Charlie Buchan proposed a defensive centre half to plug the hole in the middle. This person would manage the offside trap. He already had Tom Wilson playing this role at Huddersfield. The fullbacks played in front of the centre half and one of the insides forwards linked between attack and defence. Herbert Roberts was the man for the job. It was noted that he was “an all-around player he may have had his failings, but he fitted in perfectly with the Arsenal scheme of things.” So the “WM” formation was holding up. Things had progressed from 2-3-5 to 3-3-4. Roberts may have been intelligent but he did what he was told. He was rarely seen upfield. Chapman was in charge and managed to keep his side disciplined. He knew players strengths and weaknesses. The link up inside forward was played by Andy Neil. He was chosen for his ball control- not his pace. Jimmy Brain and Charlie Buchan were the strike force. The brain was the top scorer with 33 goals. Arsenal finished second in the league of 1925/6 -behind Chapman’s old club, Huddersfield. Joe Hulme was bought for his pace but that was the limit of the spending. Arsenal finished 11th in the e1096/7 season. They had a good FA Cup run reaching the final. Rather humiliatingly they lost to Cardiff City and for the r first time, the trophy left England. It was a literal slip up that cost Arsenal the trophy. It was hard to watch as the keeper Dan Lewis let it slip out of his grasp. He was devastated, so much so he threw away his runners up medal. Chapman still believed he had the best keeper in the league so he kept his place. If Chapman saw something in you he would develop it. He signed a young milkman called Eddie Hapgood who was playing for Kettering Town. He was rather underweight and would often pass out with the force of the passes. It was concluded they needed to bulk this vegetarian up so they gave him a diet sheet with meat on the menu. In 1927 Herbert Norris was implicated in the Arsenal Voting Scandal and his role at the club was somewhat muted. He was eventually banned from football in 1929. 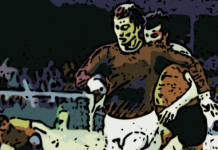 Chapman had much more freedom to exert his influence on the beautiful game. Chapman survived another scandal. So now to innovate. Paths New and Freedom too. Arsenal was the first team to wear number son their backs. To the fan, this is a great idea. The FA were not so enamoured and banned the practice. This conservatism frustrated Chapman no end but he continued developing his ideas. He installed floodlights in the West Stands but again the FA denied him the pleasure and they could not be used to light official matches. Some things he did have control over and he succeeded in getting Gillespie Road tube station renamed Arsenal. He argued “Whoever heard of Gillespie Road? It is Arsenal around here!”. After many months of lobbying the London Underground agreed. Tickets, maps and machinery had to be replaced or reset. Arsenal is the only football team to appear on that infamous map. His actions could have had him branded an eccentric but a boy from Kiveton Park can’t afford such titles. Most of his projects were really for the benefit of the game. He recognised the emotional needs of his players and took them to Brighton for a game of golf. The idea of a bonding session was certainly new in the 1930s. Steven Sudd said in his biography that Chapman understood his players and “he regarded as the dignity of the athlete, treating his players as human beings instead of merely paid servants, which was how most other players were regarded elsewhere.”He wanted to enhance the experience of the players and the fans. Communication with fans was important and he pioneered the electronic turnstile. We take this simple crowd control machine for granted. The PA system that keeps fans up to date and informed was first conceived by Chapman. The iconic letter and number board that displays the score was another of his brainchild. These were widely used and copied by clubs worldwide. I wonder what he would have thought of VAR? Apart from putting Arsenal on the map, he added one feature that has taken on a legend of its own. The Highbury Clock is a timepiece that has provided a link between Highbury and the Emirates. Its original home above the South Stand was known as the Clock End. At 2.6 meters tall it is quite an imposing piece which can be found facing Highbury as you enter the Gunners new home. A half size replica sits above the South Stand today. These little touches give a club character and Chapman certainly gave Arsenal that. The main characteristics he gave them was a fearsome reputation and a full trophy cabinet. After that the initial disappointment, he eventually brought the FA Cup to Highbury in 1930. Poetically they beat Huddersfield Town 2-0 in the final. It was his former line up against his new squad. Town’s manager Clem Stephenson knew what to expect as he was trained by Chapman too. Chapman had built a winning team and Arsenal went on to win the First Division the following season. They were the first team from the South to do so. He built a team that would maintain winning ways. When he took the job he said he had a five-year plan. One thing one can admire about this man he was true to his word. They would win that title again in 1933 and halfway through the following season, they were set to do so again. A Legacy of the Mind. A Legacy to Behold. New Years Day 1934 Chapman went scouting at Notts County. The next day he went to watch Sheffield Wednesday as they were contenders for the First Division crown and Arsenals next opponents. He caught a cold that quickly developed into pneumonia. He died on the 6th of January 1934. Arsenal went on to win the First Division Title. Huddersfield Town were runners up. It seems that his legacy was the way of the winner. As his team kept the Title the following season, won the FA Cup the year after and won the First Division again in 1938. There are no words to sum up Chapman’s legacy as the trophies speak volumes. The trophies his players won both with and without him sit in the cabinets of both Arsenal and Huddersfield. His gave teams positivity and courage as he understood the needs of his players. 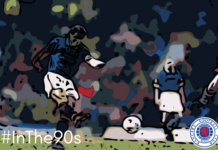 This never was at the expense of the developing ideas of the modern game. He was a legend in his own lifetime. Had that lifetime been longer who knows?